This will sound weird. Most of you realize I’m weird, anyway, but you may still want to get your fist ready to punch an invisible me in the face. Ready? There. Phew… I feel like the weight of a small walrus has been lifted off my shoulders. I love a good step-by-step instruction guide, like IKEA furniture (cue more punches to my invisible face). Taxes are so rigid and formulaic and predictable — and I like all of those things. All of this smacks in the face of what I do for my day job as a creative professional, but I think that’s why it’s appealing. I’m so used to trying to “think outside the box” that sometimes it’s super refreshing to hop back in that unvarying, four-sided box and let my brain follow a predefined path. I always start out by writing a list of all income and necessary paperwork for filing. That includes W-2s (employee wages), 1099s (bank interest, dividends, consultant wages, etc. ), business-related expense categories, charitable receipts, last year’s return, etc. I then go through our handy-dandy filing system and find each corresponding item on the checklist and place a check next to the ones I have in my possession. For the remaining unchecked items, I either go online and download statements or email old employers to get what I need. Once I know what paperwork I need, I get it all out at once. By the time it’s all in front of me, it looks like I’m surrounded by a small paper fort, ready to defend my family from Uncle Sam’s advancing tax collector troops. I then place the paperwork in piles: my income, Joanna’s income, joint income, business expenses, non-business deductible expenses, etc. With the piles ready, I stretch my fingers out, crack my knuckles, and quickly remember why I have no friends. 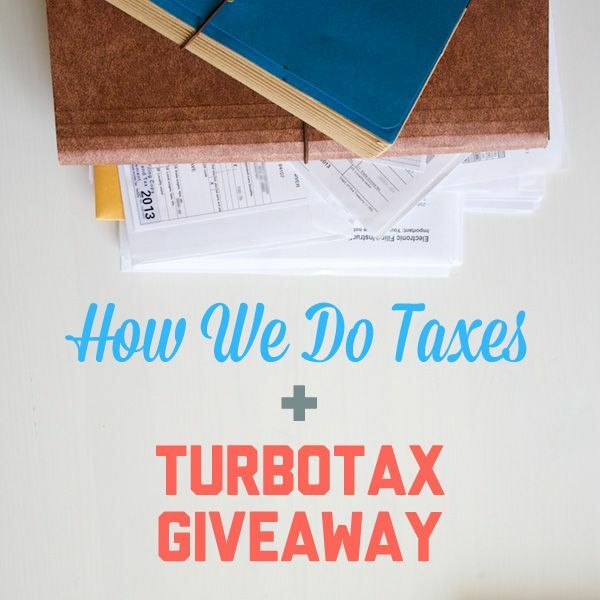 For the last four or five years, we’ve used TurboTax (psst, which you can win below) to file our taxes. It’s quick, painless, and relatively inexpensive. The software (available on the web or via download) has a nice selection of products, depending on your needs, and walks you step-by-step through every single potential filing requirement. It translates obscure, complicated processes into easy-to-understand steps that us unsmart people can understand. From start to finish, the whole process usually takes me an hour or so (thanks in large part to the organizing done in steps 1 and 2). I usually try to tackle everything in one sitting, but you can always save your work and pick up where you left off after you’re done cleaning up all of the cat food that your 14-month old has thrown all over the kitchen (thanks, Sally). You start by filling out your personal info. Then it’s on to your Federal Taxes, which includes all your income, deductions, credits, etc. After you complete each step, a real-time ticker calculates how much you stand to fork over or receive from Uncle Sam. It’s sort of addicting to watch how each step affects what you owe/are owed. Then it’s on to State Taxes, which drills down to more localized policies and deductions. 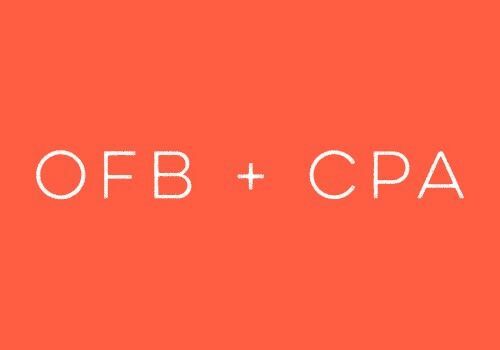 Once the Federal and State are squared away, you review everything and fix any holes that the software spots. It then provides an audit risk level based on some algorithm that can detect certain red flags that increase your likelihood of an audit. Lucky for us, we’re usually in the green. The final step is actually filing with the IRS and state and telling them where to send that fat refund paycheck (if everything turned out right). This year, we’re getting paid. 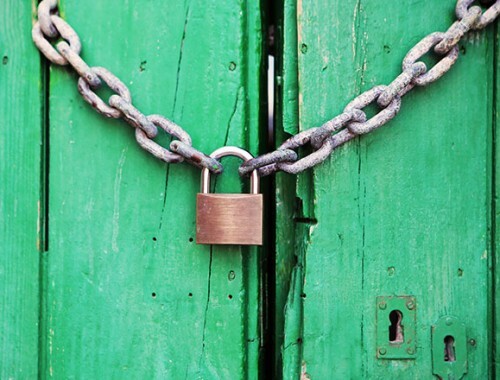 We’re all about claiming zero allowances (meaning zero dependents, including ourselves) on our W4s, which means during the year, we’re usually forking over more than our share of taxes. While lots of people would rather see that extra money in their pocket each paycheck, we’re big proponents of playing it safe and having a sweet payday bonus in the middle of the year. 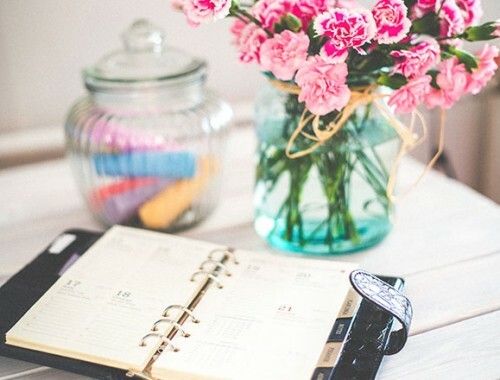 It makes it easier to budget leaner when you’re making less throughout the year, and we’re not as tempted to spend a lump sum of cash. If you’re planning on getting a refund back, TurboTax and Amazon have a pretty sweet promo going on. If you put any portion of your refund toward an Amazon gift card (which you can obviously use on yourself), you get 10% extra added to your total. Since we know we’ll spend at least a couple hundred dollars at Amazon this year, this was a no-brainer for us. So if you put $500 of your refund toward the promo, you’ll get a $550 gift card to Amazon, with no expiration date. Free money, peeps! After we’re done, I’ll save a PDF of our tax return and print a copy for our physical records. But what’s to be done with all that paperwork you just used? Don’t go throwing it away! In fact, you probably shouldn’t throw them away for the next 7 years (!). Using our filing system, we file all relevant tax paperwork and throw out anything that is no longer needed (like outdated insurance paperwork, old receipts, etc.). This is a great spring cleaning opportunity to get FY2014 off to an organized start. If you still haven’t gotten around to making your peace with Uncle Sam yet this year, we’ve got quite the giveaway for you. 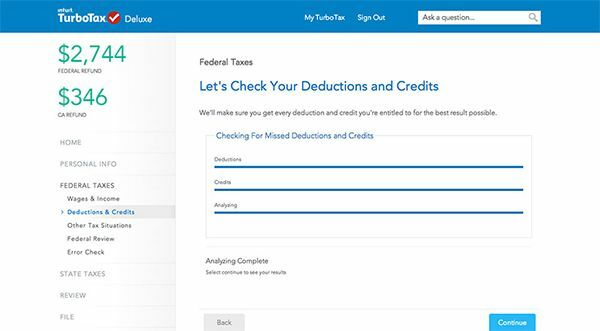 TurboTax has been generous to offer two copies of TurboTax Premier Online, which includes one free federal and state preparation and e-file for your 2013 taxes. All you have to do is enter below for a chance to win. Codes may not be redeemed for cash and are not for resale. The giveaway is for US residents only (which makes sense), and it closes Sunday at midnight ET. Best of luck soon-t0-be tax-filers! 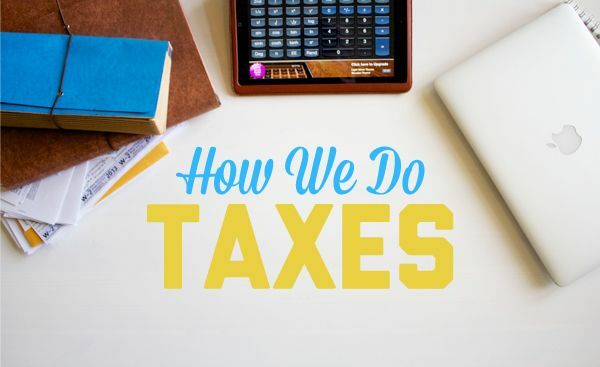 And if you have any questions, comments, or ways you approach your taxes differently than yours truly, we’d love to hear about it in the comments below. Confession: I love filing my taxes too. You’re not alone!! Haha… yes! I knew there were other closet tax nerds out there. I’m glad I was able to draw a few of us out. Yes! I love filing our taxes too! Next year might be different as we probably will have to take a standard deduction. This year we were able to itemize because we donated a car to charity and bought a new house and paid points, both of those are deductions I’m betting we won’t have next year. That sounds like a pretty awesome year of deductions for your crew. Congrats. We haven’t done standard deduction the last few years, and fingers crossed, our streak will stay afloat. We’ve used Turbo Tax online for the last three years or so. I love that it pulls your info over from the previous year so that you don’t have to dig up last year’s taxes or type in your personal info all over again. Anything that takes less time and requires less paper shuffling is always better in my book. I recently changed my W4 in order to get our refund closer to zero. It works out to about $120/month back on my paycheck. I still think we’ll have a refund next year but it should be a lot smaller. “Sometimes you want to go, where the tax software knows your naaaammee.” That was a really bad rendition of the Cheers song in case it was as hard to decipher as it was just horrible in general. I’ll admit, the extra cash each paycheck would be great, but I know how my brain works. And I’d really rather not see that money until April, otherwise it might get spent. Oh, I knew I loved you guys! I love filing my taxes too (might be the accountant in me though). This is the first year though that we are paying someone to do them. Let me tell you, it’s not fun when you can’t see the numbers change like you had described above. It is also hard to hand over control but with having 2 rental units and other things, we thought it best to let a professional lay the groundwork for the future. Next year I’m taking back control though! hah. I don’t blame you one bit. I can’t imagine that craziness that gets thrown in the mix with rental properties. I like your plan though of using this year as a chance to see how a professional handles it and then doing it yourself next year. Thanks for your comment! We appreciate it. Hi guys! I too love doing taxes simply because I don’t. Each year we “outsource” this chore over to our daughter who is a senior exec at one of Canada’s Accounting firms and who uses her company’s tax software to complete our tax returns. What’s great about it is that by using it she can run “what if” scenarios to determine how best to get all the tax breaks that we are entitled to. So often many peeps lose out on some of them. Of course the best approach, as we all know, is to structure our financial affairs so that we don’t owe any tax or have a minimum refund come due. Having a big refund simply means that you gave too much away to the feds all year which you could have kept instead and invested. So all we do is stay organized, keep all our records and tax receipts in good order, and then it’s a no-brainer. “I too love doing taxes simply because I don’t.” Hah. I like your style, Rob. So you’re telling us that we should start raising Sally to be an accountant so that we can bask in free tax advice bliss? We’re on it! I LOVE filing my taxes-so much that I practically need to sit on my hands through January anticipating starting my taxes! I use TurboTax as well-it’s really simple for me as a single individual who rents an apartment, etc. And I’m particularly happy because this year I put my entire tax refund, close to $2K, directly into my Savings account! That was a big help while I build my emergency fund! (And yes, it’s early March and I already did my taxes and sent the money to savings! 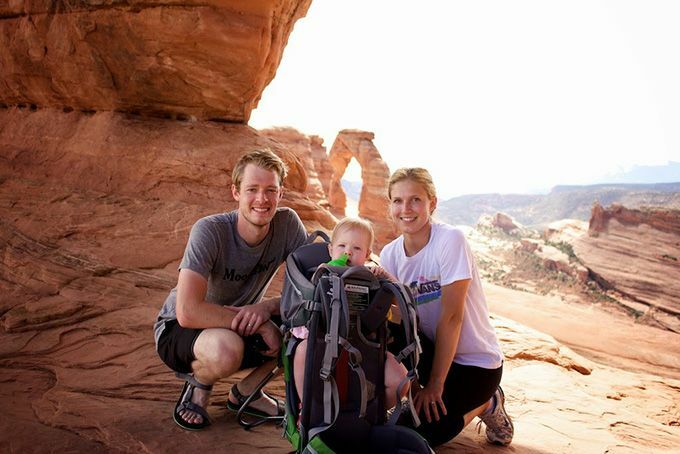 I know many people say not to “give away” free money to the government, but I totally agree with what you wrote–living on less throughout the year, and being less likely to spend that big chunk when it comes around. Good article! Haha. Awesome work on your refund and its destination! Unless your bringing home a pretty hefty refund each year, the interest lost by letting Uncle Sam hold onto it until April is pretty negligible. Zero allowances all the way! Hey guys! I too love doing my taxes. I did all the work last month but have held off submitting them just in case something cropped up that I had forgotten. It paid off because we received a tax form for something that usually have to do as a miscellaneous item…woo hoo…and now I hear about the Amazon thing with TurboTax…awesome! Anyway, I’d be thrilled if I won, but I already have since I’ve got an extra 10% available as an option. I better go see how much my refund is for so I can calculate what that extra bit is. Thanks!! The Amazon thing is a pretty rad perk. I know the intent of the promotion is a pure marketing play, but for how much we spend on Amazon for the day-to-day necessities, we’re getting 10% off every purchase for the next X months. Good luck with the giveaway, too! I don’t want to win because I am required, because of my divorce agreement, to use an accountant. My sons are both in post secondary education and their extra tuition credits are shared between their father and myself. The accountant keeps everything fair. I pay $200 plus tax for the 3 returns but this will be the last year for that. Bummer, but I’m sure it’s a weight lifted knowing that things are resolved fairly and without issue. $200 actually seems fairly reasonable, but that might be because we’ve been forking over an extra $50-$100/year on state filings since we can never seem to live in a single state each year before moving to another. I used to like filing my taxes. Now my husband is self-employed, so we go to H&R Block, and we always owe a ton of money. So…I don’t like taxes anymore! Ughh, self-employment is the worst come tax season. I was in that same boat last year. No bueno. I also used ebates to file my taxes and I got a little back too! Oooo, awesome idea! Way to squeeze that extra savings out.